The best way to reach us is via email at info@crossfitkitchener.com or complete the Contact Form below. What days/times work best for you to come in? Yesterday was the first of many classes to come at CrossFit Kitchener. My fiancee and I took an introductory class, and although I have been crossfitting for the past 8 months now, the experience was a great one! Our instructor demonstrated thurough knowledge, and gave just the right amount of attention towards my fiancee and myself. Aside from personable and enthusiastic staff, the facility itself is a beautiful and well- equipped gym to train at. Great work CrossFit Kitchener…3-2-1 Go!!! I attended my 2nd official class after finishing boot camp & thanks to Pauly I had an amazing workout! He convinced me that I could lift much more weight than I thought & he was right!! Instead of doing 35 pounds I did just fine with 105 pounds! Thanks so much for the encouragement!! Thank you for allowing me to join your classes this past week while visiting Kitchener. Pauly & Dianne were great and encouraged me to find two new PRs in back squat & bench press. It was nice to experience new trainers and everyone was so welcoming. If I’m ever in the area again I’ll be sure to drop by. 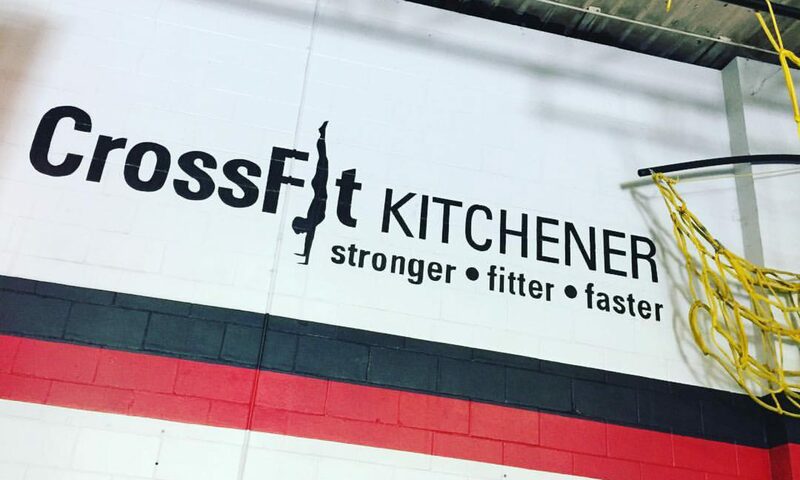 Today was my first experience at crossfit Kitchener, I really enjoyed it (thanks to girl working at the desk that let me partake in the class, I didn’t realize you had to sign up online for the classes, sorry about that) Your a first class facilty, as well Lars was a big help with me on technique on squat cleans. It’s been a while since I’ve done O-lifts due an injury. I was wanting to purchase a month membership. I’ve done a ramp prior at crossfit Guelph as well as participating in classes before injuring myself playing hockey.